Bob wig is timeless and very classic. A cute bob wig that decently frames your cheek bones looks sexily chick. Maeda Toushirou wig has its flaxen color to create a modern natural look. The wig does not shine ridiculously and the short hair style further makes it appropriate for daily wears. The fibers are heat-resistant and straight. This is why this wig is easily manageable and very popular! This short wig is a perfect fit for both cosplay and street look. 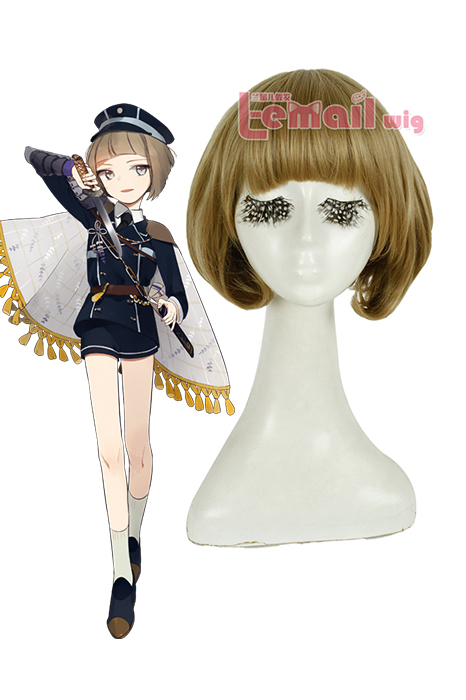 The wig is 30cm long. The fibers are heat resistant and straight. Since the wig has a matte finish; the wig casts a decent reflection. Excessive shine & gloss may turn some off. Maeda Toushirou wig is a sweet flaxen color, that is unusual yet spectacular. This wig accentuates your concise by shaping your jawline for a sensual look. 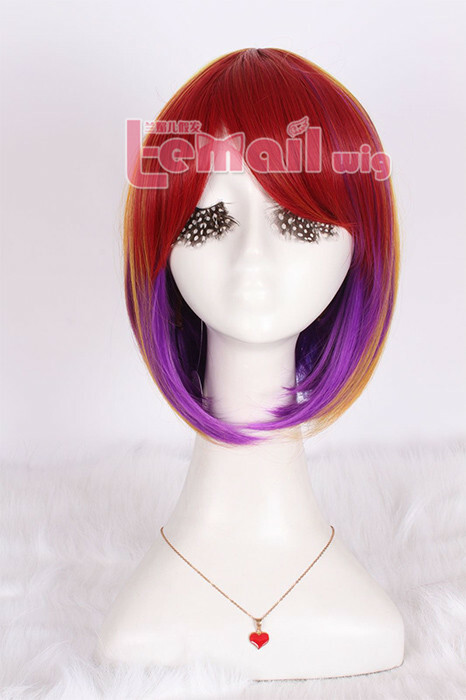 This entry was posted in Buy Cosplay Wigs, Fashion Wigs and tagged Bob wigs, short cosplay wigs, short length bob wigs.